FENWICKE STREET. A hand coloured lithograph view. 4 1/2 x 6 1/4 inches. In a sunk mount. Good condition. MOOR STREET. A hand coloured lithograph. Figures. 5 3/4 x 8 inches. Good condition. COURT YARD, TOWER OF LIVERPOOL. 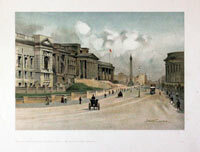 A Hand coloured lithograph view. 5 x 6 1/2 inches. Wide blank margins. Good condition. OLD ST. GEORGE'S CHURCH. A hand coloured lithograph. 9 x 12 inches. In sunk mount. Good condition. SANDHILLS HOUSE. A hand coloured lithograph view. 9 1/2 x 5 3/4 inches. Good condition. OLD FISH MARKET. A hand coloured lithograph view. 11 7 3/4 inches. Good condition. 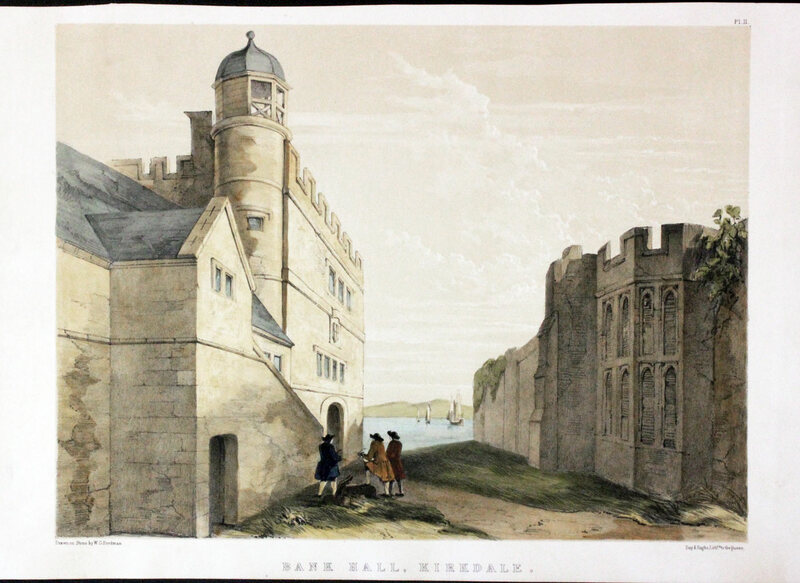 BANK HALL, KIRKDALE. A hand coloured lithograph view. 12 x 9 inches. Good condition. 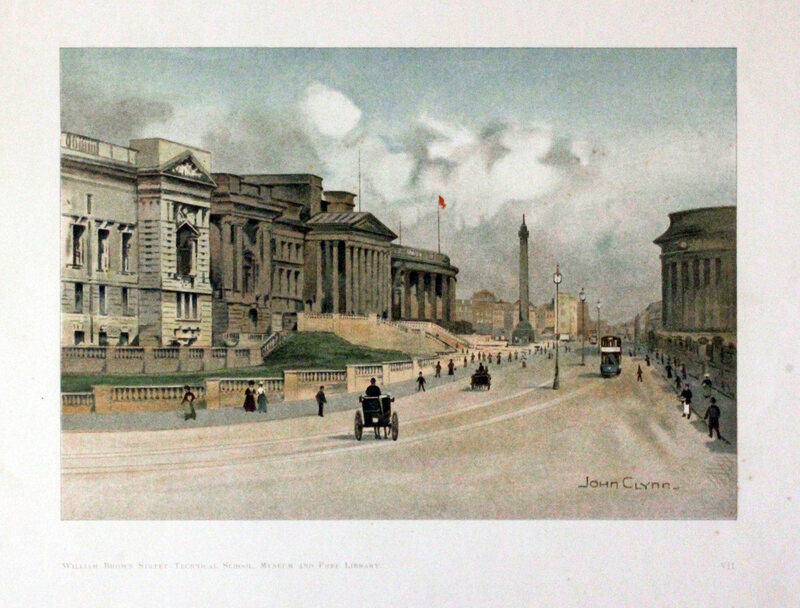 WILLIAM BROWN STREET - TECHNICAL SCHOOL, MUSEUM AND FREE LIBRARY. A coloured chromolithograph view. 10 x 7 inches. Good condition. 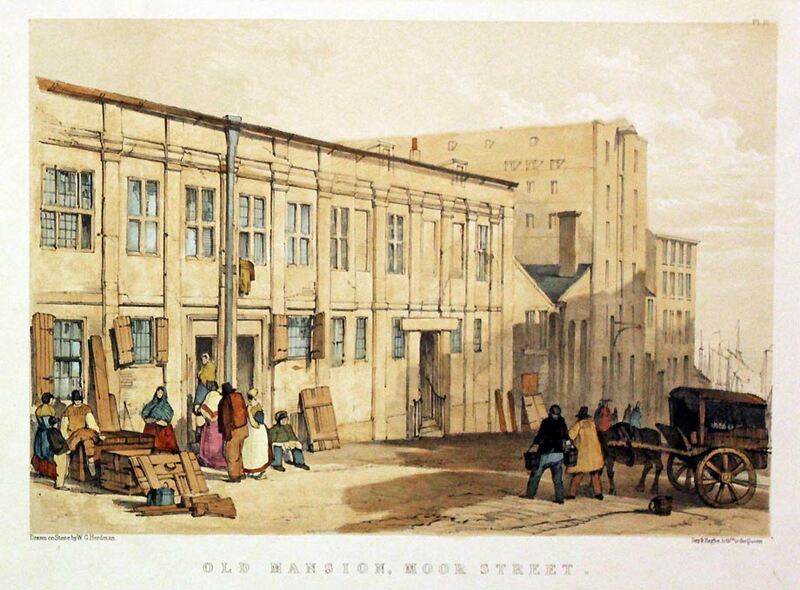 OLD MANSION, MOOR STREET. A hand coloured lithograph view. 10 1/4 x 7 inches. In a sunk mount. Fine condition. 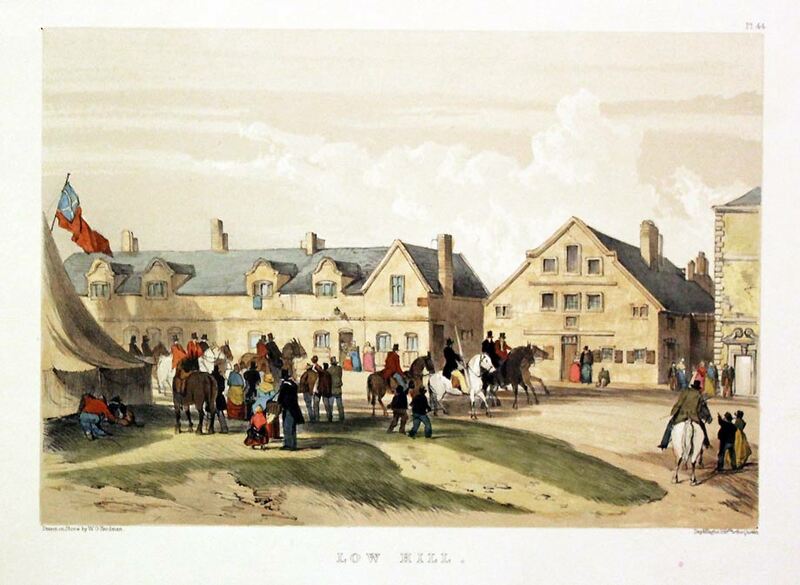 LOW HILL. A hand coloured lithograph view. 9 3/4 x 6 3/4 inches. Unmounted. Good clean condition. From the drawings and paintings of a number of artists. 64467 More Street, Liverpool, S. Austin, c.1845. 89727 Sessions House, Chapel Street. 89738 Liverpool from the Mersey. Commencing at the Prince's Parade. 47428 Part of Lord Street, and South St. John Street. Liverpool. 87188 Part of Lord Street, and South St. John Street. Liverpool. LA005 Interior of the Ball-Room, Town Hall, Liverpool. LA060 St. Paul's Church, Liverpool.